Club Monaco Canada — Hot Canadian Deal — Get $10 off Any Scarf In Store! Time to run to your near­est Club Monaco Folks!! 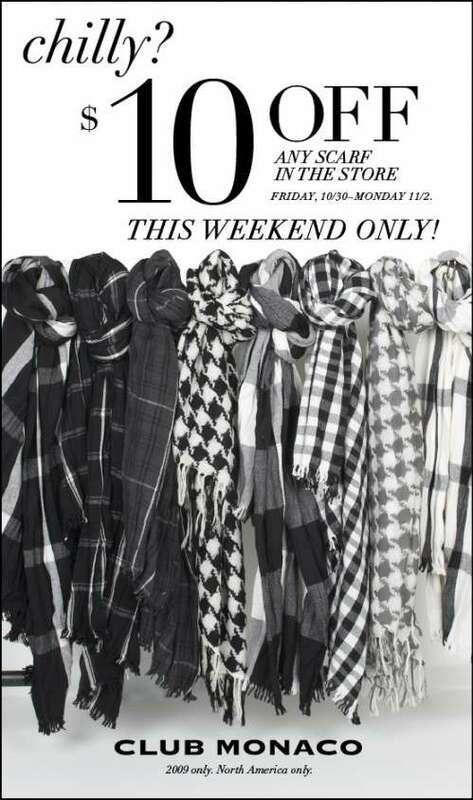 This week­end, from Octo­ber 30th to Novem­ber 2cnd, 2009, Club Monaco has a SWEET DEAL going on where you Get $10 off Any Scarf In Store!